The titles shares a name with a Joy Division song and J.G. Ballard novel. 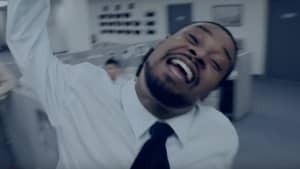 Exercise, Talking Heads and shopping at Wal-Mart all helped inspire Danny Brown's new album and now that release has a title. As confirmed in June, Brown has signed to Warp to release his next record. New single "When It Rain" is the first song we have heard from the album which Brown has now confirmed will be named Atrocity Exhibition. The title is also the name of a Joy Division song and a novel by J.G. Ballard, which Brown is obviously aware of. The follow up to Old is due out in September.